Italian champions Juventus are looking to get hold of Anthony Martial, but aren’t willing to bid for him this summer. Rather they are finding alternatives which could help them getting him on the cheap. 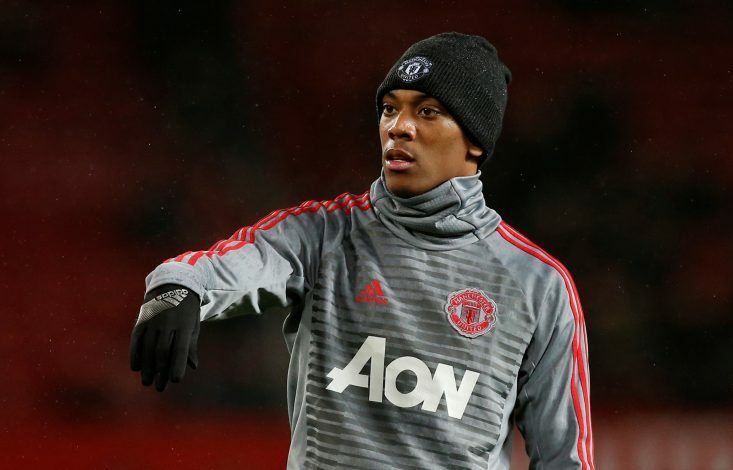 Juventus are believed to be waiting on Martial’s contract to end, and according to a report in Italian media outlet Tuttosport, they are looking to get him for free next summer. Juventus did the same with German international Emre Can, and could now follow similar paths for Martial. The Serie A champions signed the now former Liverpool midfielder for free after his contract ended post the 2017-18 season. The Turin club had earlier bid €35m for Can last summer, but the Reds rejected the offer. And this time around, they are planning to play the waiting game after having put off by United’s €80-90 million valuation of the Frenchman. Recently, Martial’s agent had stated that the youngster is looking to find a new club as he is unhappy at Old Trafford, before adding that United have the power to dictate the transfer deal. Here, what the Italian outlet missed out was that despite having a contract at the club till 2019, Martial could see his additional one year clause being activated by United. That means he could be at the Mancunian club for another two years if United do not plan to get rid off him. Whether Juve will wait for next summer or hang on the possibility of 2020 is a big question they will have to figure out.